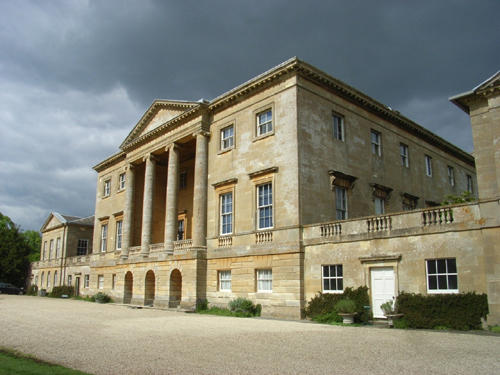 Basildon Park was built by John Carr of York for Sir Francis Sykes between 1776 and 1783. It is a beautifully balanced building of warm Bath stone consisting of a main central block joined to individual pavilions by single-storey linkages. 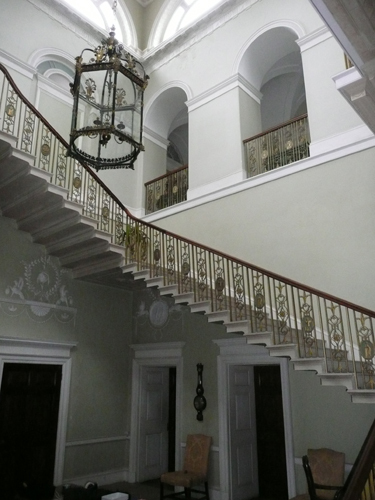 Basildon Park was still incomplete when Sir Francis’ grandson and namesake inherited, in turn, in 1804. However, due to enormous debts, in 1838, the estate was sold to James Morrison a Radical Member of Parliament for Ipswich. Morrison was also one of the richest of the early Victorian merchant princes, having cornered the market in black crêpe just before the death of Queen Charlotte in 1818 knowing the fashion then for wearing mourning black after the death of a monarch. I was commissioned to carry out the analysis of the copperas wash on the exterior and the paint on the surfaces within the staircase hall. See a recent blog post on the analysis. 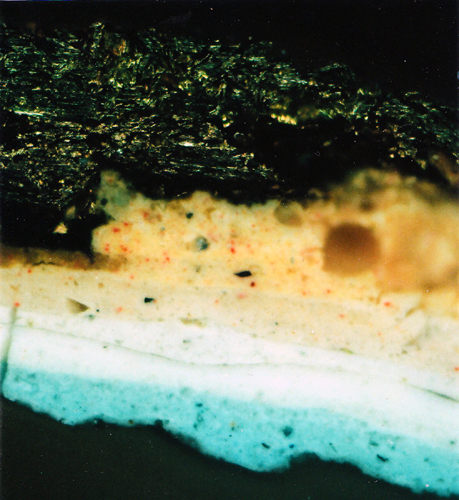 A cross section of the paint on the staircase balustrade showing the original blue and the existing bronze paint.